EPH Combipack 4 Thermostat can help you save money on your energy bills. 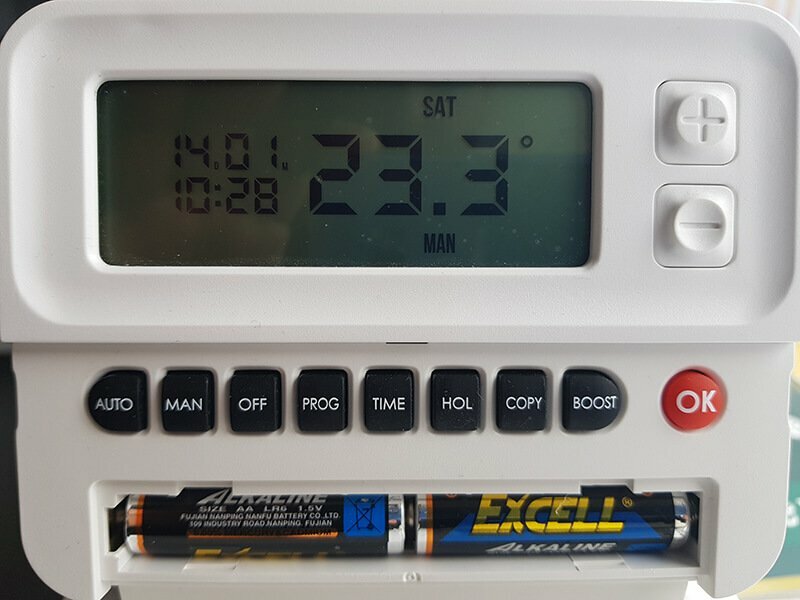 It’s wireless, connects via bluetooth, has a range of up to 50 metres, and you can program your heating to come on at specific times. Why do You Need a Programmable Thermostat? For a novice, a temperature setting might be the only thing needed. But do you want your central heating to work even when you’re not at home? Especially for hours on end when you’re at work from 9 am to 5 pm? 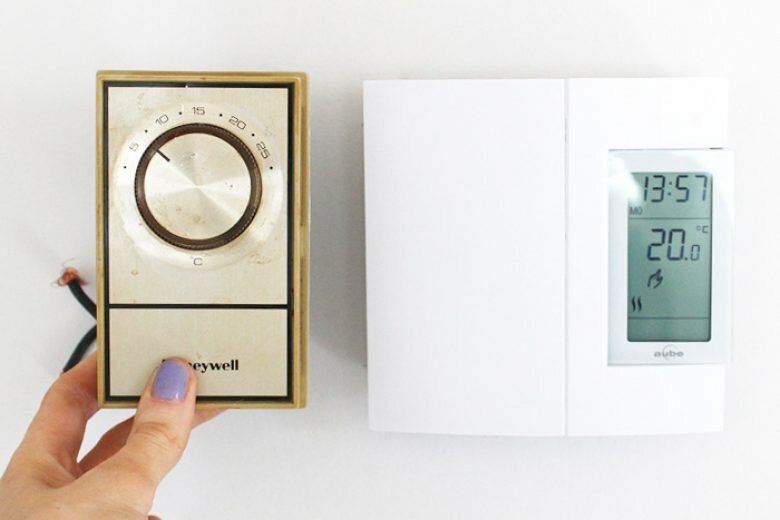 What if you could program your thermostat to switch off at 8:30 am and come on at 4:45 pm? This way it won’t work while you’re away, but switch on just in time so you return to a warm home. This not only saves you time and effort, but also brings up the efficiency of your central heating system significantly. If you’ve got a manual thermostat, you can always turn it off before leaving your home, but a lot of people forget. I know I have forgotten to turn my heating off multiple times! Your home needs to be a convenient and comfortable place to be, without costing you in terms of money or effort spent. And a programmable controller like the EPH Combipack 4 Thermostat can help you do that. Why is Your old Analog Controller not Good Enough? If you keep your dated heated system along with old controls, you will fall victim to wasted energy and money. That’s because you have to manually set the temperature each time. When you can program your heating, it’s simply set it and forget it. A boiler that is consistently working to keep your house warm when nobody’s there, also means extra wear and tear on the internal components on top of using more fuel. While that may not matter in the short term, those pennies saved compound to big savings over the long term. Which Heating Control is Best for You? Using the EPH Combipack 4 Thermostat as an example, this type of control device lets you set what temperature and what time your combi boiler heats up. For example, you may want your property to be warmer over the weekend as opposed to throughout the week, saving you money that would otherwise be wasted. Allows the user to only select when the boiler switches on or off. Lets the user adjust temperature of each radiator individually by using the valve on the radiator itself. How can a Programmable Thermostat Help Save You Money on Heating? It’s important to remember how much money you can save on your bills by having more control over the heating. Many believe the most cost-effective method is to maintain a steady temperature without change. Contrary to popular belief, this simply isn’t true. Setting your thermostat to 19°C or 20°C. Keeping the temperature at a necessary low such as 16-19°C during those winter weeks when it really matters. Ultimately you’ll want your house kept comfortable, so any method that cuts down bills is worth learning. EPH Heating Controls Ltd are a reliable and experienced company spanning more than two decades. As a provider of top-of-the-range products, EPH understand the residential and commercial markets extremely well. With a focus on quality, they source from Germany, Italy, Sweden, Switzerland and the UK. What is the EPH Combipack 4 Thermostat? The EPH Combipack 4 Thermostat is the latest in programmable heating controls, providing full control over a single heating zone. The advantage? Wireless heating control for your room with a full range of time and temperature options. EPH has come up with a product that’s not only functional and convenient, but also affordable. EPH also focus on consistently improving their customer service. Users have the option of having it fixed to a wall or have it free standing, letting you choose exactly where the most convenient place is. It’s connected via bluetooth, so you can roam around your house with it. With the thermostat’s excellent battery life, it’ll also continue giving those easy-to-use heating controls that you’ll be expecting from such an important device. However, if you’re worried about struggling to understand the controls themselves, then fear not. Not only is the EPH Combipack 4 Thermostat accessible and easy to use once your boiler’s installed, but you can also be taught afterwards how to use it. Why do We Work with EPH? Boilerhut work closely with EPH and provide it as the default new thermostat on all our quotes. 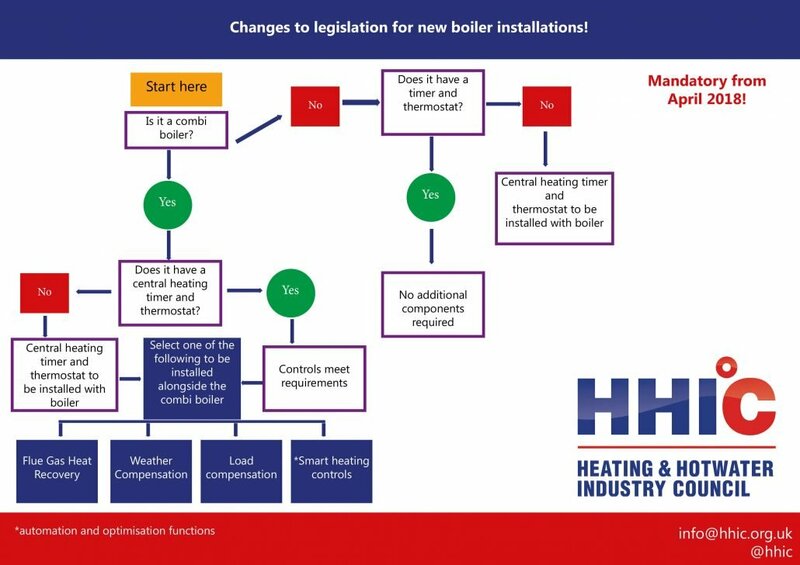 Not only is it less hassle, long lasting, affordable, but it is also compliant with the Boiler Plus Legislation 2018 for England, and soon Wales. The EPH Combipack 4 Thermostat allows you to select specific temperatures to be achieved at certain times of day. For analog thermostats, the controls can often be too basic, and setting the temperature at a certain time becomes an unnecessary struggle. This can usually cause issues if you have a varied work pattern. Unless otherwise changed, a boiler would turn on at the same time each day. If your working life demands varied shift patterns, the boiler’s schedule would potentially clash. If you have a young family, babies should be in a room with a temperature somewhere between 16°C and 20°C. For older residents, unmonitored temperatures can be harmful, so it’s important to stay on top of this throughout the day. User-centric design is the key to development of the EPH Combipack 4 Thermostat. With a large LCD screen and ergonomically designed keypad, it’s been designed specifically for ease of use. This includes added benefits for operating the thermostat in low-lit areas, or those with impaired vision. To ensure a resident’s home remains a comfortable and visually friendly environment, the thermostat’s been designed with the same approach. It boasts a sleek pure white versatile casing suitable for all types of interiors. Holiday Mode – For when you’re away from the property. Allows you to input several dates for the boiler to temporarily turn off. The system will remain off until you return, or shortly before so your home is heated ready for your return. Knowing how to use the controls on your thermostat is vital to cutting down on your energy bills. If done in the right way, your energy consumption can be minimised so that you’re comfortable and avoid overheating. The EPH Combipack 4 Thermostat allows you to set a temperature for your home using the easy-to-use interface. Once that’s achieved – usually about 19°C – the thermostat will ensure that the boiler switches off. With your home cosy and warm, your boiler no longer overworks, meaning wasted money is a thing of the past. Too many people are using the controls! How can I make sure just one person uses it? If your kids or spouse are playing with the thermostat, it can throw the temperature off. To prevent this from happening, you can lock the controls to ensure full control and a consistent performance. To lock the keypad, press and hold the + and – buttons for 10 seconds. A padlock symbol will now appear on the screen, showing that the keypad is now locked. To unlock, press and hold the + and – buttons for 10 seconds. The padlock symbol will then disappear from the screen. The keypad is now unlocked. I can’t see the screen properly. Is the backlight not working? There are two main settings for the backlight selection on the EPH Combipack 4 Thermostat, AUTO and OFF. Chances are if the backlight isn’t turning on, it’s because OFF has been selected. The factory default setting is AUTO, which sets the backlight on for 5 seconds when any button has been pressed. To adjust the backlight setting, lower the cover on the front of the unit. Press the ‘OK’ button for 5 seconds and then use the arrow buttons to select between OFF and AUTO. It will be a long time before this needs to happen, but better safe than sorry! Yes, you can! 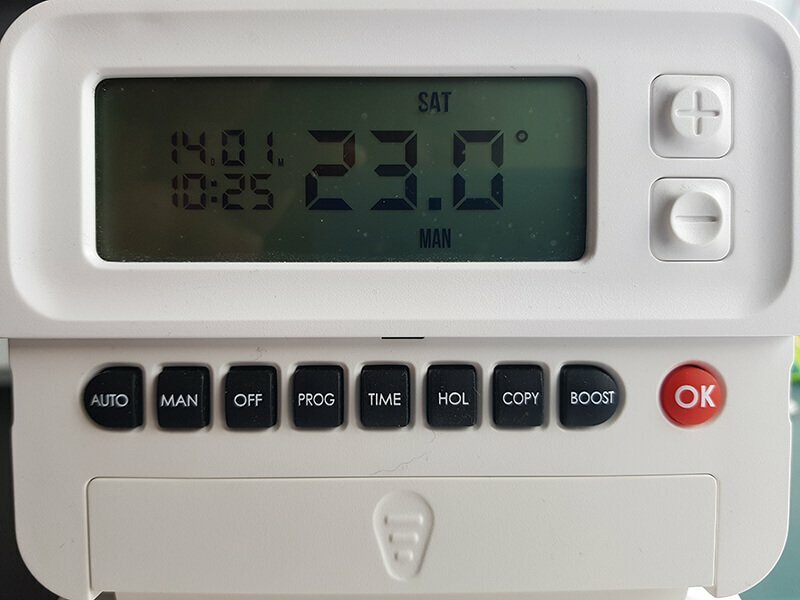 The thermostat can be boosted to a specific temperature for 1, 2 or 3 hours while the thermostat is operating in all modes except for holiday mode. Press the ‘BOOST’ button for the amount of hours you want it to be active, and the number will then flash on screen for confirmation. If you do not press any other button, the boost will activate to the temperature displayed on the screen after 5 seconds. Easy! Does the thermostat provide any protection against frost? If the thermostat is in OFF mode and the temperature drops below 5 ̊, the thermostat will automatically turn the boiler on to prevent any freezing. Although it’s not recommended, you’re also able to de-activate frost protection at any point. Avoid keeping it near electric fires, TVs, lamps or anything else giving off significant heat – this may confuse the sensor. Ensure the air flow is clear around the thermostat itself. Position it away from the boiler itself. The important thing to remember is that not all types of heating controls work with all types of heating systems. Whether it’s a combination of a timer and digital or purely mechanical, it’s important to know what it would be used for before making a purchase. 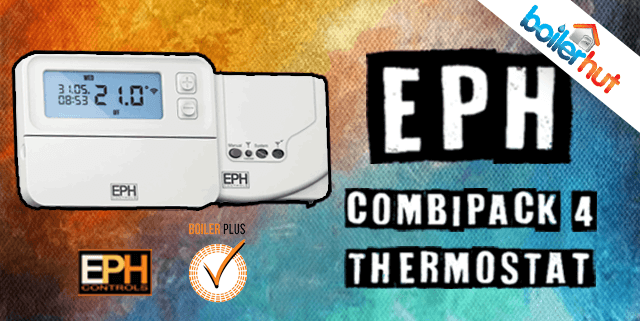 With the EPH Combipack 4 Thermostat, you will be given full control over when your boiler is switched on and when it’s turned off by choosing the specific temperature. With many types of living conditions, jobs and lifestyles there is a wide range of ways in which people spend their time in the house. It’s becoming more common that people are out of the house at very specific times, and so to be able to manage when your boiler heats up your home is becoming increasingly important. For a reliable, fully functional device that lets you have full control over how your boiler operates, buy the EPH Combipack 4 Thermostat.